Following the huge success of the 2014 family-comedy, Paddington, Rainbow Designs showcased a brand new collection of feature plush Paddington toys at the 2017 Toy Fair in central-London. Designed to coincide with the launch of the much anticipated Paddington 2 (featuring a host of big name actors such as Hugh Grant, Julie Walters and Jim Broadbent) it was the Cycling Paddington that really caught our eye. 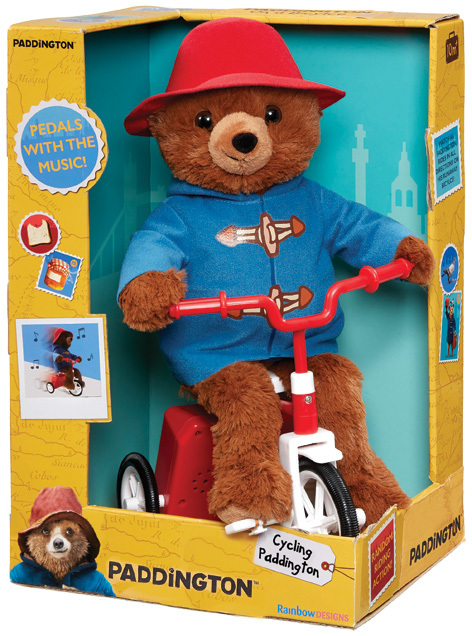 Joining an already all-star cast of feature plush toys including Talk to Me Paddington and My Name is Paddington, children will never tire of Cycling Paddington. 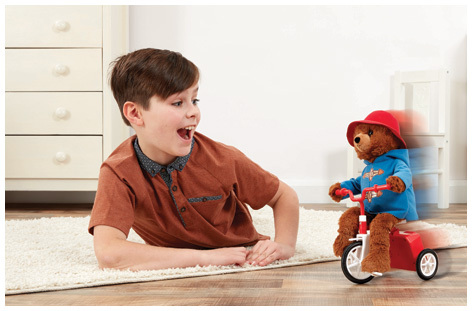 It's hard not to be captivated by this loveable little bear as he rides around the room on his bright red bicycle, accompanied by some annoyingly catchy music! Please tell us what you think of Cycling Paddington by Rainbow Designs.